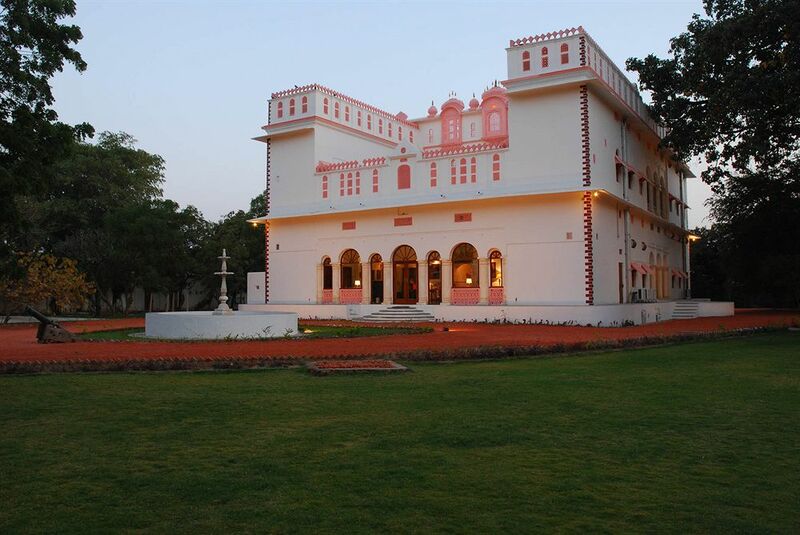 Bijay Niwas Palace is a regal heritage property located amidst the green gardens of the historical city of Ajmer. 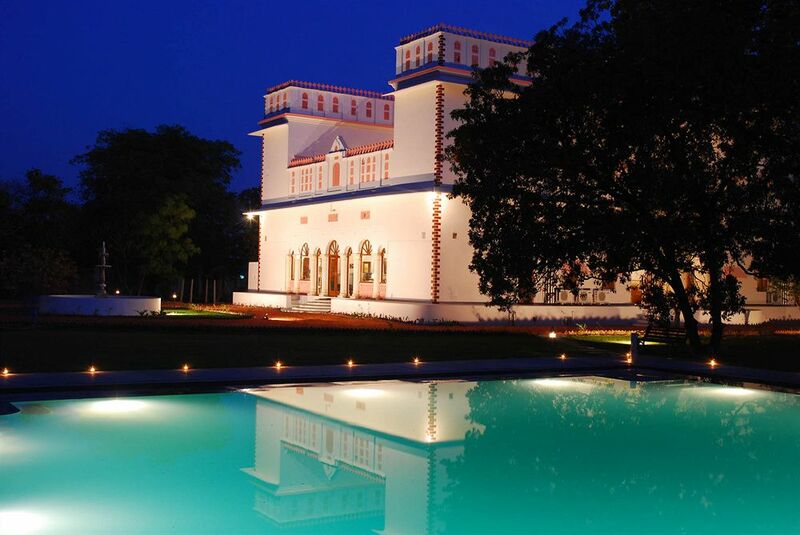 The Palace has a very contemporary architecture and is covered with artwork by contemporary Indian artists like Jamini Roy and Amrita Sher Gill Sharda Ukil. 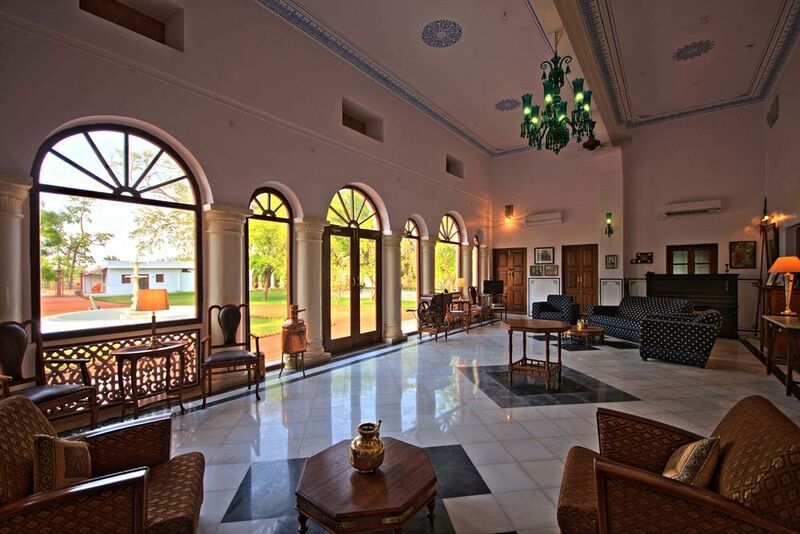 The hotel is just 70 kms from the Ajmer Junction Railway Station and 187 kms from the Jaipur International Airport. 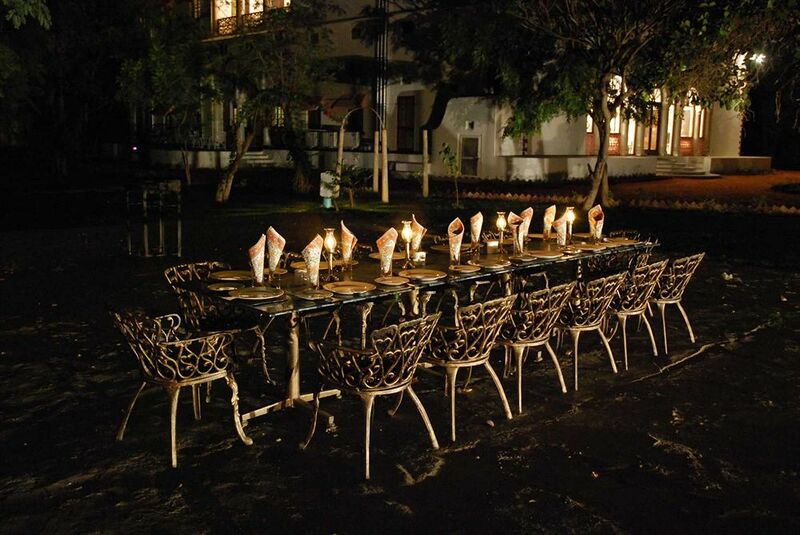 The hotel also arranges banqueting facilities which can be used to arrange private as well as corporate parties. The hotel has an outdoor swimming pool which is ideal to burn off some calories. Other facilities of this hotel are free Wi-Fi access, laundry services, parking facility, travel desk and a round the clock front desk. 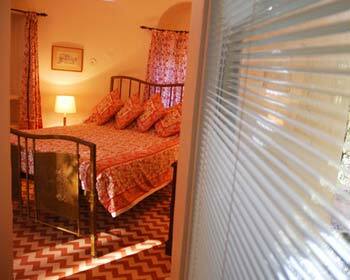 There are six of these heritage rooms in the hotel. 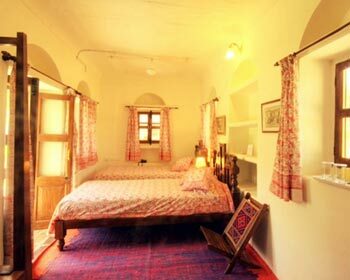 They are decorated in the authentic Rajasthani way and come with a work desk and a mini bar making it an ideal choice for working people. 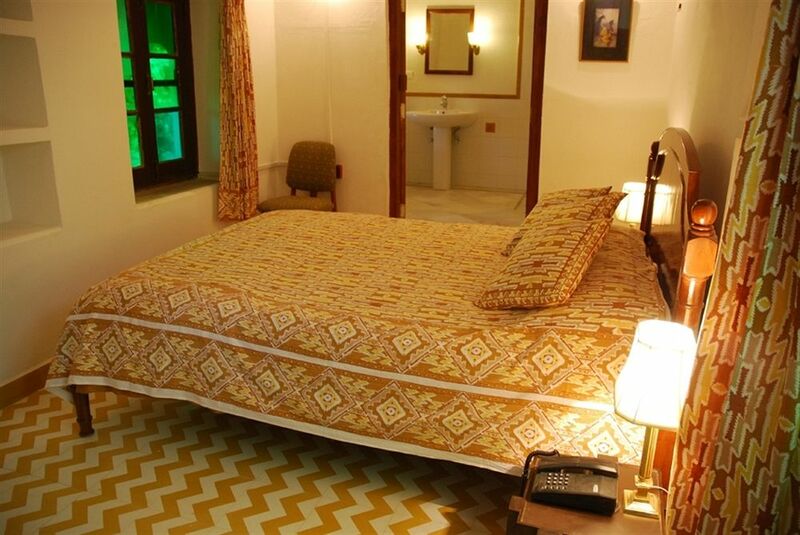 The rooms are all air conditioned and come with a private bathroom and all required bathroom toiletries. The basic facilities awarded with this room are a Minibar, Tea/Coffee Maker, Television, Telephone, Bathroom Toiletries, 24-hour Room Service and Hot & Cold Running Water. 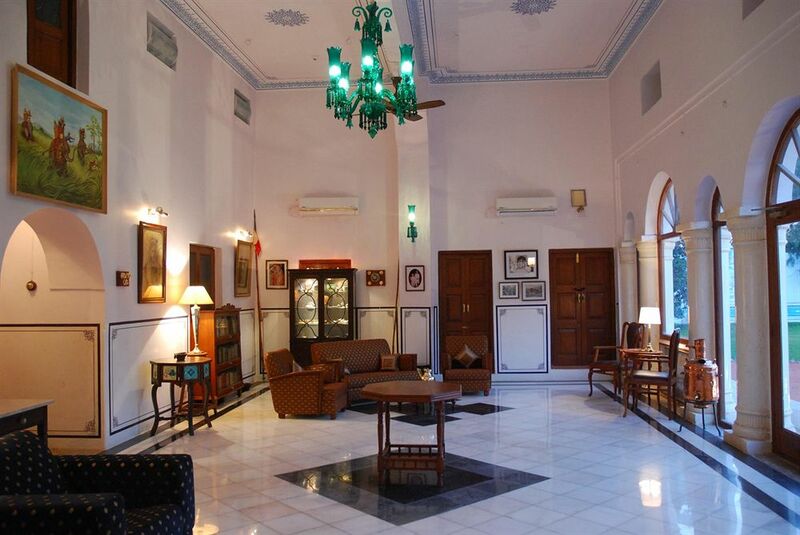 The Burj rooms of this three star hotel give the guests a view of the beautiful city of Ajmer. 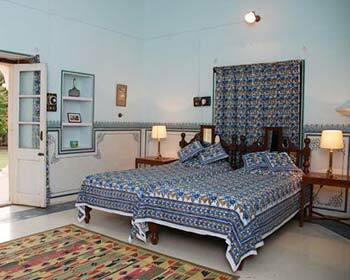 The room comes with a decorated bed and comfortable cushions to put a coupleoff to a good night sleep. The cubicle bathroom is well maintained and has a hand shower too. The tea/coffee maker is available for all the guests. Other amenities include Air conditioning, LCD TV, Hair dryer, Iron and iron board, safe deposit box, same day laundry and a spacious bathroom. 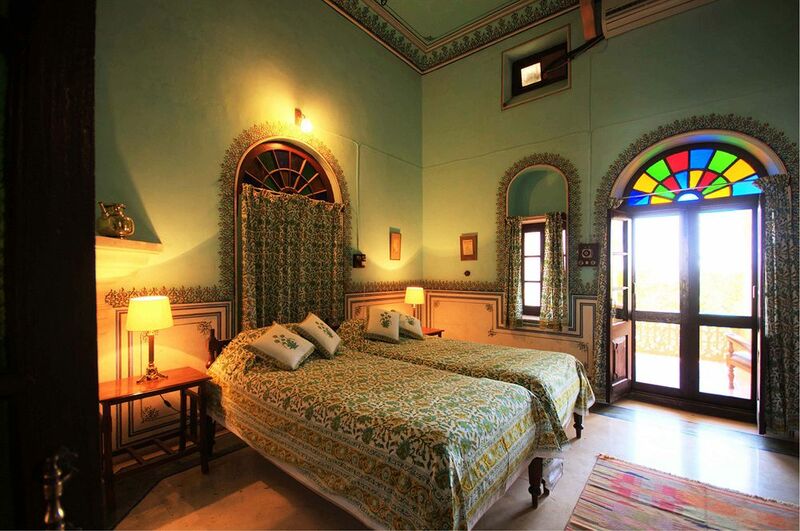 This suite is the most spacious and luxurious accommodation and is designed with delicately painted walls and ceilings. The suites double bed is decorated with rich fibers and cushions. The suites wall is decorated with historical paintings and artifacts. A mini bar and a tea coffee maker provide the beverages and a heater in made available during the winters. The en suite bathroom comes with a deep soaking bath tub and all required bathroom toiletries. The dressing area is perfectly designed to get you ready for a party or a meeting. The suite comes with all the modern features like a mini bar, tea or coffee maker, electronic safe, hair dryer and a 24 hour room service. 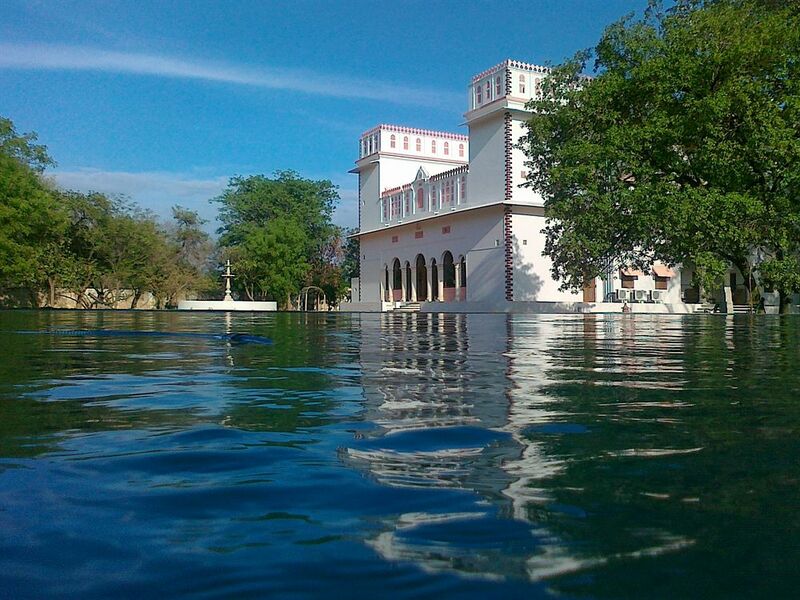 Spread over a sprawling area of over 20 acre the Bijayniwas Palace Resort offers affluent space for a comfortable stay. The guests are pampered in the artistically designed rooms and suites that are loaded with luxuries. 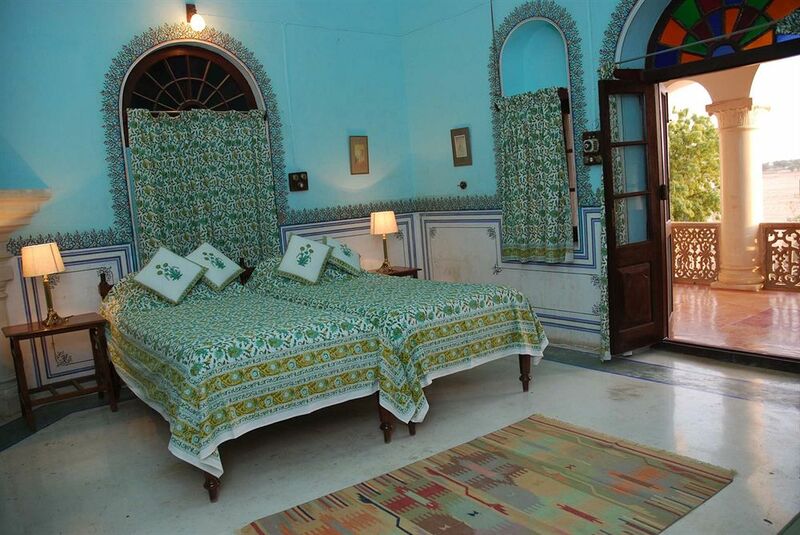 The rooms and the suites at the hotel carry the royal ambience making every stay a memorable one. 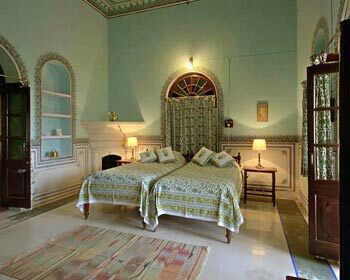 The royal furniture and the vintage looks with the time-honored Rajasthani wall murals and frescoes add a different dimension to the stay. The royal room and the suites offer every possible luxury for the stay. The hotel has two dining options, one in the dining hall and other outside in open air. The place offers an all-inclusive buffet meal for breakfast, lunch and dinner. 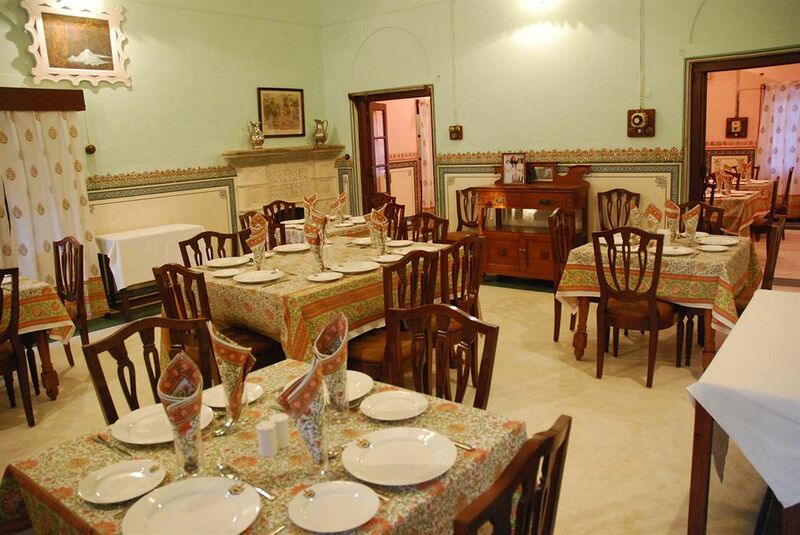 The place also has a la carte menu which consists of many mouthwatering Indian and international dishes. The restaurant also offers some cold and hot beverages. Apart from this Alfresco dining is also available alongside the pool.